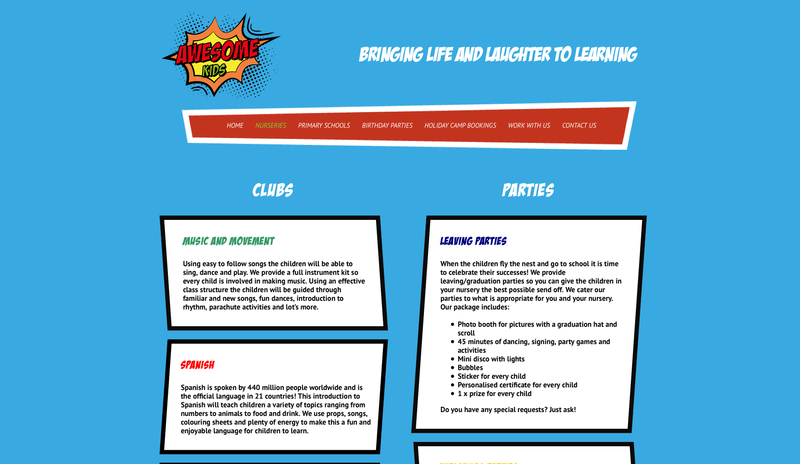 Awesome Kids provides amazing extra-curricular classes, clubs and parties to children in nursery and primary school, teaching all sorts – from languages, music and dance. 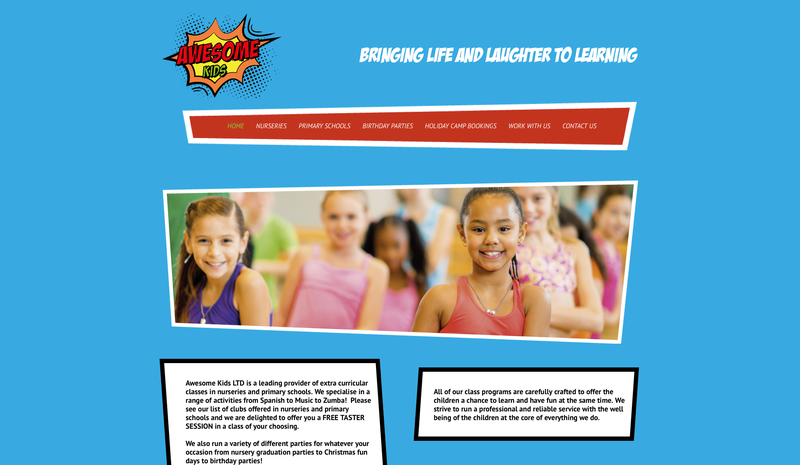 We created this fun-loving, colourful website with a comic-book theme to appeal to both parents and children. First off, we designed the ‘Awesome’ branding using bold block colours and comic book font in front of a retro explosion shape. 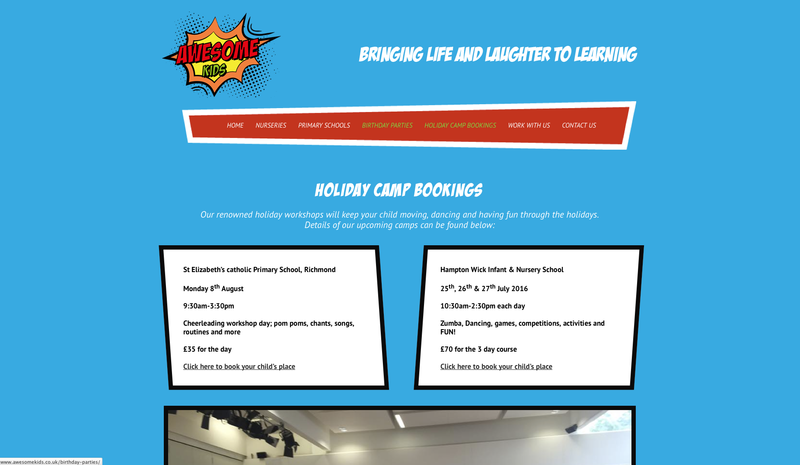 We then translated the cartoon/comic book theme to the website design with yet more bold colours, text boxes with thick black borders and dynamic bold header fonts. 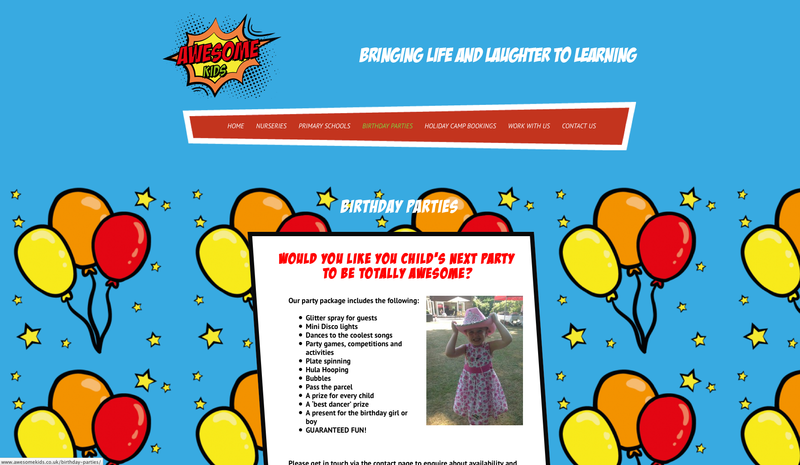 Alongside the web pages for nurseries, primary school and holiday camp bookings, we also created a special ‘Birthday Parties’ page with an eye-catching balloon and stars background. 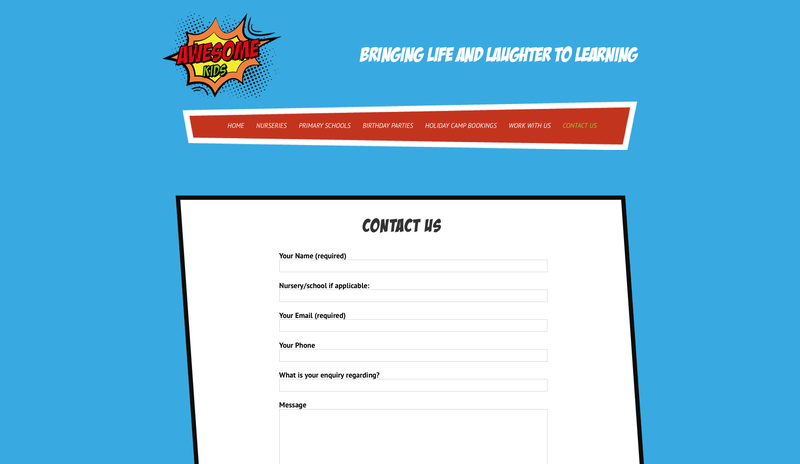 Two contact forms were set up for this website – one for prospective employees under the ‘Work with Us’ section and another under ‘Contact Us’ to allow any interested parents and organisations to get in touch.